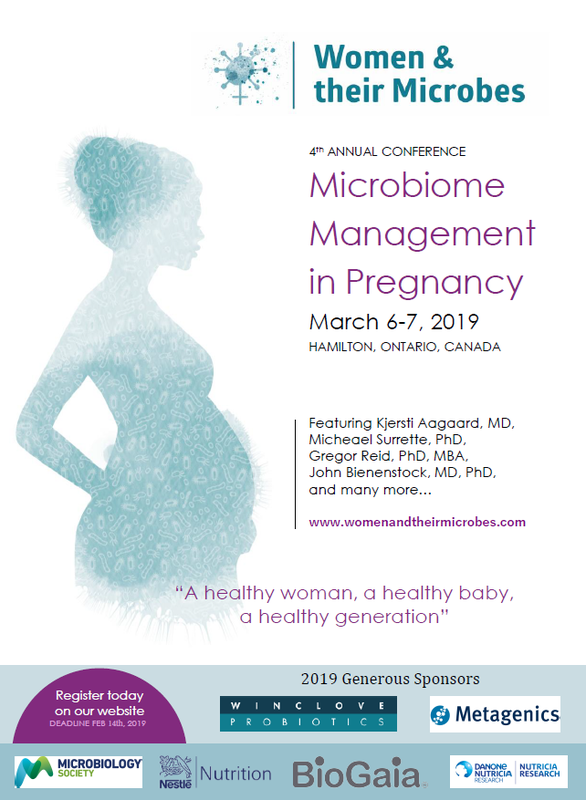 The theme of the 2019 conference will be “Microbiota Management in Pregnancy”. It will open with a clinical half-day that focusing on practice-changing microbiome science on March 6th and then March 7th with feature a full research day with top level academics and clinicians presenting their cutting edge science. All of this will take place just before International Women’s Day in the picturescque city of Hamilton, Ontario, Canada, which is home to more than 100 waterfalls and cascades. Registration for the Clinical Afternoon on March 6th is closed. Join our Research program on March 7th and learn more about Microbiome Management in Pregnancy.